I was having a chat with Adam Yuret last week about user story maps. A concern that he expressed and others have voiced is that by putting your ideas into a user story map it might discourage you from changing the map as you start delivering the stories and learn more information. He’s right – it might and it probably does. 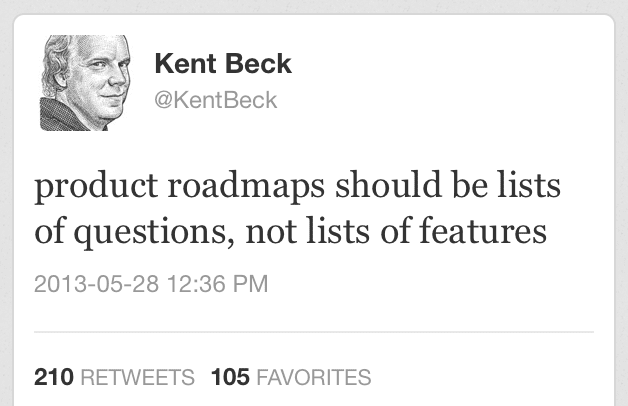 Kent Beck recently expressed a similar concern about product roadmaps on twitter. How will we make $? Do we understand the problem? Will it integrate with other applications successfully? Can we build this with the budget & schedule we have? What is the best architecture for this project? For a project that I worked on this year we built a large map outlining all of the stories. We spent time going through the map with our customers slicing, scoping, prioritizing, identifying risks and assumptions, etc. We were pretty proud of the result and eagerly started delivering. As we started working on the first small release, we quickly realized that the answer to one of the main questions “Can we build this with the budget & schedule we have?” was “no”. At this point, we had conversations with our users and sliced, scoped, and prioritized even more so that we could deliver something that would still meet the goals of our upcoming deadline. 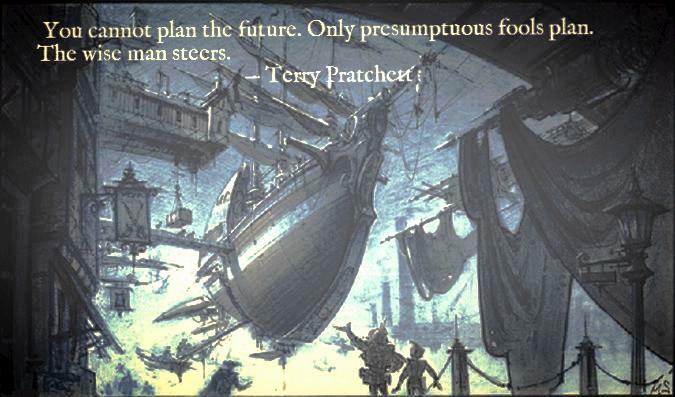 In summary, “You cannot plan the future. Only presumptuous fools plan. The wise man steers.” – Terry Pratchet. Don’t etch your user story map in stone – build it with paper and expect to change it as you learn.